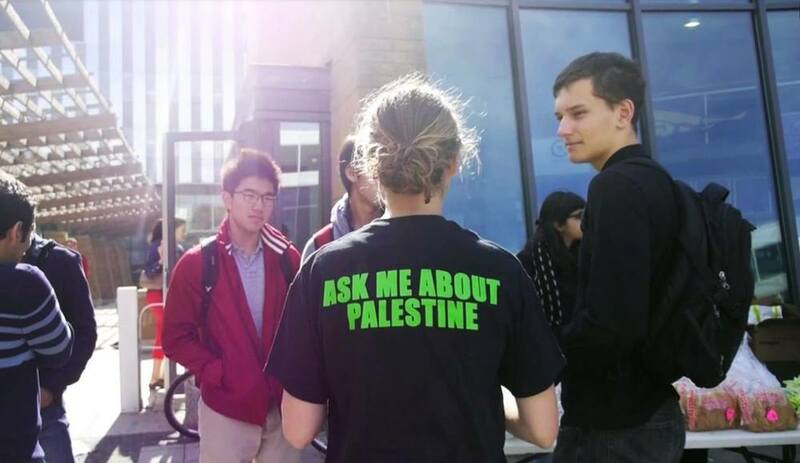 Based on a vote taken at our Members Meeting on January 22, 2015, the WPIRG membership believes an academic boycott is an effective and just tactic to stand in solidarity with Palestinian students and oppose the human rights abuses perpetrated by the Israeli state through apartheid and colonialist policies. We know this is a complex issue and we appreciate that so many took the time to thoughtfully consider the referendum question. Based on the countless conversations had during the campaign, we believe that the vast majority of those who voted “no” do not support the human rights abuses; rather we believe many of you voted “no” because you were unsure if the academic boycott tactic was the correct or best course of action, and you were concerned that it might have a potential negative impact on fellow students, faculty and researchers here and elsewhere. Thus the issue of how to handle UW’s ties with institutions complicit in the violation of the human rights of Palestinians remains open. We are committed to supporting a campus community where these discussions can continue with the hope that as students we can develop a shared approach to the pursuit of a more ethical and just role for UW in its external institutional relationships. The WPIRG Board of Directors would like to congratulate the “Vote Yes” committee for running a principled, eloquent and passionate campaign. While the final results were not what we had hoped, there is much to be proud of. Over 1,800 undergraduate students voted to boycott Israeli universities complicit in the violation of human rights, the largest expression of student solidarity with the struggle of Palestinians ever seen at UW. Over 1,800 students have shown support for an ethical collaboration policy at UW. And many more thousands of students have participated in a reasoned and in-depth conversation on the role of our university in the world. This is how it should be on a campus with a vibrant, engaged and diverse student body. Everyone involved with this effort should be proud of themselves, from the members of the Palestine Solidarity Action Group, who worked on this campaign for nearly two years, to the Vote Yes committee and campaign volunteers, to everyone who took the time to consider the referendum question and vote. We encourage you to see that you have build a strong foundation for further campus organizing and to take the next few months to think about how you will use this foundation to make change at UW in your remaining years here. You're just getting started and of this we have no doubt! Welcome back! We hope Fall 2015 ended well and that you’re off to a great start in Winter 2016, be it in class or coop. As it’s the start of a new term and close to the midway point in another academic year, we wanted to let you know what WPIRG’s volunteers were up to last term and what we’re working on this term and into the rest of the academic year. Last November, after months of work, our Fossil Free UW action group mobilized Environment students to pass a motion at the Waterloo Environment Students Endowment Fund (WESEF) AGM committing WESEF to divest from the fossil fuel industry – a first at UW! As WESEF prepares to divest, Fossil Free UW is looking to expand the divestment movement to other parts of campus this term. They need new volunteers so get in touch if you’re interested in climate justice organizing. EthicalCollabUW question goes to referendum! Our Palestine Solidarity Action Group (PSAG) members worked hard all Fall term and gathered more than 4000 undergraduate student signatures on a petition calling for FEDS to hold a referendum asking the student body if they support UW ending ties with Israeli universities complicit in human rights violations and the occupation of Palestine. After the petition was processed by FEDS late last term, a referendum will be held this month with voting taking place between January 25-27. EthicalCollabUW is part of the global Boycott, Divestment and Sanctions (BDS) movement that is putting important pressure on the Israeli state to end the occupation of Palestine and respect Palestinian human rights. PSAG is looking for volunteers right now to help with the referendum campaign so if you’re passionate about international human rights and peace, there isn’t a better opportunity to make a difference than this campaign. Landlords are discovering it’s getting harder in KW to cheat and abuse tenants thanks to the work of former WPIRG action group, now community partner, the KW Solidarity Network. An organization of tenants and workers who have each others backs, the KW Solidarity Network successfully took several landlords this Fall winning and are currently helping tenants get organized to win repairs at a downtown high-rise. Unfortunately landlords and bosses aren’t going away anytime soon so if you’d like to help build an organization that can give us a fighting chance, consider reaching out to the KW Solidarity Network. And if you’re a UW student who wants to organize student tenants to deal with the many landlord issues students face in KW, check out this new housing resource page on the WPIRG website and get in touch. Not to be outdone, our other action groups all kept a steady pace last term and will continue to be active this term. Kitchener Food Not Bombs will keep serving free meals every Saturday at 1pm downtown Kitchener (in front of City Hall) as they did all last Fall. And the WPIRG Community Garden at Columbia Lake had another successful harvest. Look for them to start up again in April or May. Besides the EthicalCollabUW referendum, WPIRG is gearing up for the 16th Annual Rainbow Reels Queer and Trans Film Festival! This major event will take place on March 11-13th and will see three days of film screenings, performances and other creative events. WPIRG’s QFF volunteer committee will be accepting volunteers right up until the event. You can also get involved by applying for an event grant by January 11 and be part of the festival’s programming. Finally, keep and eye out for our upcoming January Members Meeting and, towards the end of the term, our AGM where we’ll be electing our new Board of Directors. If you think you might want to run, get in touch now by sending an email to info@wpirg.org. Happy 2016 everyone and see you at one of our events or drop by the office anytime. We’re in room 4222 inside the MSCU Centre for Peace Advancement at Conrad Grebel, Monday to Friday, 11-5pm. WPIRG is funded by our undergraduate student members who pay a fee of $4.75 per term. The fee allows WPIRG to implement our mandate of supporting UW students and community members to research, educate, and take action on environmental and social justice issues. In any academic year, the WPIRG fee funds several action groups, campaigns and dozens of public events as well as the day to day operations of the WPIRG staff and Board of Directors. Dates and Times: Jan 4-8, Jan. 11-15 and Jan. 18-22, 11-4pm.